Wow, wow, i mean if you read Obsidian then you have an idea of how this end, but all it's done is left me with questions. Are Dawson and Bethany really dead? I'm pretty sure their not, considering the DoD refused to show Daemon their bodies. Also, the fact the author wants us to read these characters backstories gives me the feeling that we haven't seen the last of them which i hope is true. I loved Dawson and though i prefer Daemon, i really liked seeing the triplets interact and how Dawson was with Bethany (swoon-worthy moments, jeje). What really left me most curious was what Dawson did to Bethany when she fell of the cliff. It seemed exactly like what Daemon did to Katy at the end of Obsidian and while i also have some theories on that i wont post them here :) Still now August seems too far off! 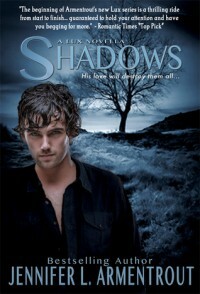 Shadows was a great novella, a lot longer than i expected and it expanded my understanding of the Luxen. If you havent read this series, get to it, this story is truly amazing !